This comprehensive resource for fellows/trainees and candidates for recertification in gastroenterology summarizes the field in a modern, fresh format. Prominent experts from around the globe write on their areas of expertise, and each chapter follows a uniform structure. The focus is on key knowledge, with the most important clinical facts highlighted in boxes. Color illustrations reinforce the text. Part 1: Pathobiology of the Liver and Biliary Tract. 1 Anatomy, Embryology and Histology (Nirusha Lachman, Wojciech Pawlina). 2 Immunology of the Liver and Mechanisms of Inflammation (Konstantinos N. Lazaridis). Part 2: Diagnostic Approaches in Liver Disease. 3 Approach to History Taking and Physical Examination in Liver and Biliary Disease (David D. Douglas). 4 Assessment of Abnormal Liver Injury Tests (Mashal Jatoi Batheja, Hugo E. Vargas). 5 Imaging of the Liver and Biliary Tree (Alvin C. Silva). 6 ERCP and Biliary Manometry (Todd H. Baron). 7 Endoscopic Techniques used in the Management of Liver and Biliary Tree Disease: EUS (Ferga C. Gleeson, Elizabeth Rajan). 8 Upper Gastrointestinal Endoscopy in the Management of Liver Disease (Hugo E. Vargas). 9 Liver Biopsy and Paracentesis (John J. Poterucha, Timothy J. Gunneson). Part 3: Problem-Based Approach to Liver Disease. 10 Jaundice and Pruritus (Andrea Gossard, Keith Lindor). 11 Liver Mass Found Incidentally on Abdominal Imaging (Thomas J. Byrne). 12 Right Upper Quadrant Abdominal Pain (Feng Li, Cuong Nguyen). 13 Acute Liver Failure (J. Eileen Hay). Part 4: Problems Related to Chronic Liver Disease. 14 Portal Hypertension (Nayantara Coelho-Prabhu, Patrick S. Kamath). 15 Hepatocellular Carcinoma (Lewis R. Roberts). 16 Pregnancy and Liver Disease (Elizabeth J. Carey, J. Eileen Hay). 17 Biliary Atresia and Cystic Fibrosis: Transitioning Care from Pediatrics to Internal Medicine (Veena Venkat, Benjamin L. Shneider). Part 5: Diseases of the Liver. 18 Acute Viral Hepatitis: Hepatitis A, Hepatitis E and Other Viruses (Juan F. Gallegos-Orozco, Jorge Rakela). 19 Hepatitis B and C (W. Ray Kim, John J. Poterucha). 20 Bacterial and Other Non-Viral Infections of the Liver (Maria Teresa A. Seville, Ann McCullough, Shimon Kusne). 21 Metabolic Liver Diseases (John B. Gross). 22 Hepatic Steatosis and NAFLD (Paul Angulo). 23 Drug-induced Liver Injury (Einar S. Björnsson, Naga Chalasani). 24 Alcoholic Liver Disease (Helga Paula, Vijay Shah). 25 Autoimmune Liver Diseases (Jayant A. Talwalkar, Keith D. Lindor). 26 Vascular Diseases of the Liver (Bashar A. Aqel). 27 Hepatic Complications of Bone Marrow Transplantation (Kelly K. Curtis, James L. Slack, Hugo E. Vargas). 28 Hepatic Manifestations of Systemic Diseases (Stephen Crane Hauser). 29 Indications and Patient Selection (Saleh Alqahtani, Kymberly D.S. Watt). 30 What Hepatologists Should Know About Liver Transplant Surgery (Kristin L. Mekeel, David C. Mulligan). 31 Immunosuppression: The Essentials (David J. Post, David D. Douglas). 32 Liver Transplantation: Early and Long Term Management and Complications (Chakri Panjala, Denise M. Harnois). 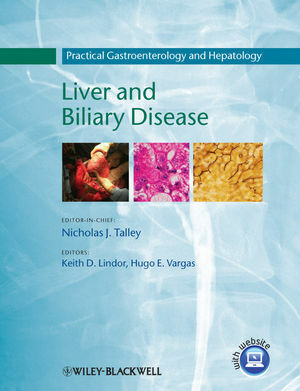 Part 7: Problem-Based Approach to Biliary Tract Disease and Gallbladder. 33 Gallstones, Gallbladder Polyps and Their Complications: Epidemiology, Pathogenesis, Diagnosis and Management (Ethan D. Miller, M. Edwyn Harrison). 34 Functional Gallbladder and Sphincter of Oddi Disorders (Bret T. Petersen). 35 Cancer of the Gallbladder and Biliary Tree (David J. Rea, David M. Nagorney, Charles B. Rosen). 36 Biliary Strictures and Leaks (Erin W. Thackeray, William Sanchez).